Maybe you’ve been in your home a few years, and your life has changed? You’re out of space. You need a yard. Or perhaps, you’ve got an opportunity elsewhere in Canada and it’s time to say goodbye to your treasured home, even though it’s perfect for your family. if you’d like us to, we’ll sell your home – without question we will do that for you, and for as much money as the market will bear. If you feel like your experience is anything less than perfect, please feel free to hold us accountable. We’ll make it up to you. Buying a home, if done right, is generally stress-free. In fact, most of the time, it is a pile of fun. 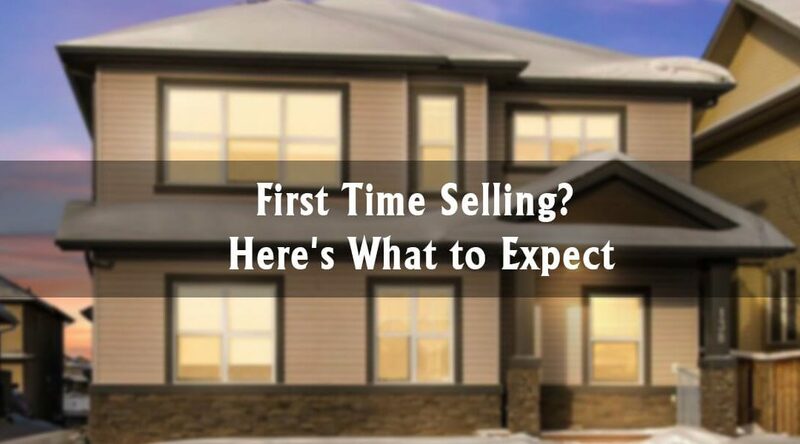 It’s for this reason, that first-time sellers sometimes go into the process with an expectation that it might be a bit of a breeze. Selling doesn’t have to be brutal, but the nature of this beast is just fundamentally different to buying. The main reason, I think, is that when you bought your home, you probably weren’t nearly as emotional about it as you are now (eek)! Moving is exciting. Your planned life & lifestyle is likely better than your current one. You have reasons for moving, and so it must be a good thing! For example, there may be things about your home, that buyers may not love the way you do. Some of the feedback you’ll receive will hurt. The best, most professional listing agents will be able to predict these and let you know in advance of the listing…these might even be things that can be addressed up front. Your agent’s role is to present your home in the best possible light, and that begins at the listing presentation, where they will (sensitively) give you all kinds of real advice. Try to view your home for a moment as if it is not yours (this is incredibly hard to achieve). There are good and bad elements to all homes, and every product has a market value. Going into your listing presentation with an open mind will help enormously. Prepare for the worst, and expect the best. A positive mental attitude really helps in this industry, so ready your home for every showing as if it’s going to be your last and let’s work together with energy to sell this puppy. We’ll take care of phenomenal photography, twilight front photos, the most incredible in-house videography money can buy, and the best social media platform in town. We’ve sold many many homes in multiple offers this way and we might well make that happen for you. But our listing agents will also keep you abreast of the market, your competition, home values, feedback, and how well your home is doing in terms of social media interaction and foot traffic. We’re proud of how accurately we price homes, but while we’re some of the best around (we have an appraiser on our team), we’re also human, and markets change, so you’re going to want to be prepared to adjust the price if necessary. You have your goals & timelines, and we’re here to give you advice that’s in your best interests, so that you ( the boss) can make the decisions which enable you to reach those goals. Breanna was the #1 listing agent in Fort McMurray in 2016 by number of sales. She lists properties for sale, but also has an important support role for the other dedicated A-Team listing agents, ensuring that all A-Team seller clients get exactly the same customer service excellence.